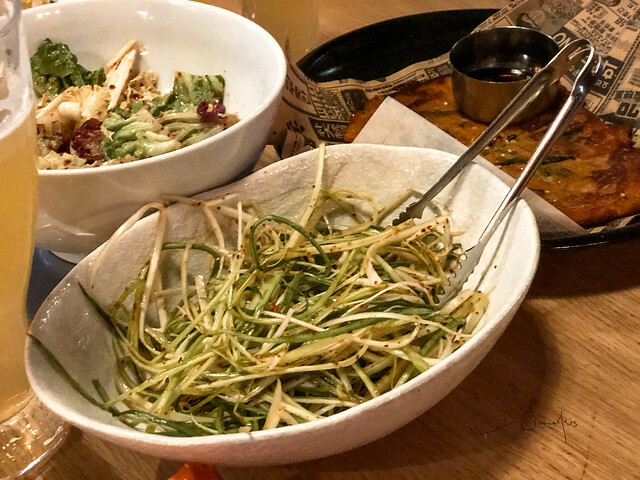 Korean restaurants can be found dotted all over town these days, with most joints offering trendy and fashionable fusion dishes. It is not difficult to settle with one that has a lot of fancy stuffs or variants of popular in-trend flavours- most of which are much promoted by the K-pop culture. 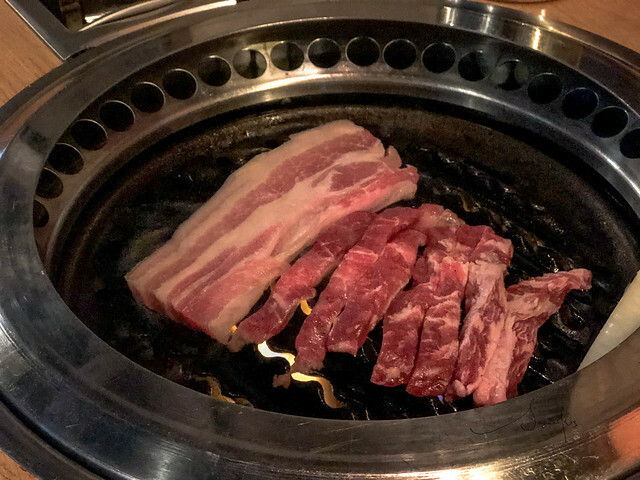 Speaking of K-pop, Samgeori Butcher’s 삼거리 푸주간 is probably the only one that serves classic BBQ grilled meats of the best quality. 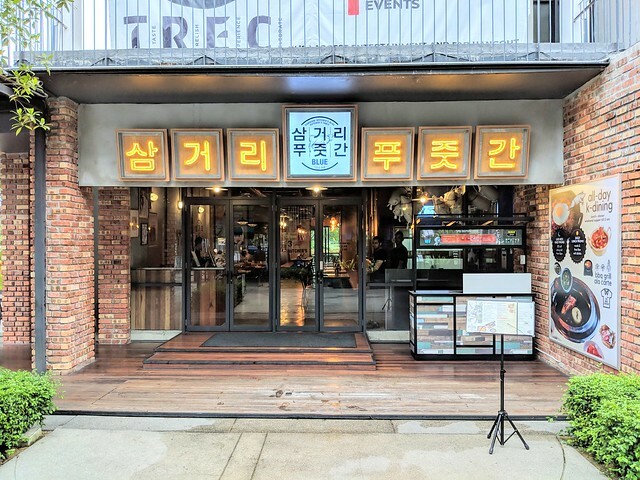 This BBQ grill restaurant was inaugurated and celebrated with Big Bang’s member Seungri at the launch so look out for his signature on the wall when you visit. The dining room – like the menu – is most authentic and elegantly comfortable; with impressive space to ensure good ventilation, and warm lighting to set the mood. Prices are not impressively but the meats are crazy delicious. 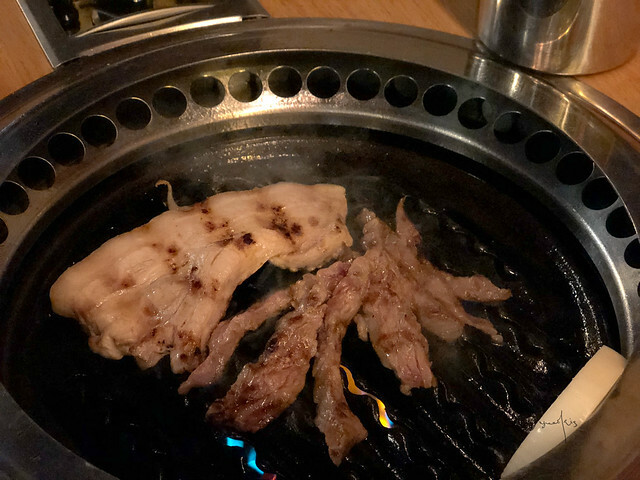 The table-top grill was heated before the meat was added, leading to the gentle charred, with a tender centre and a decent line of buttery fat along one side. 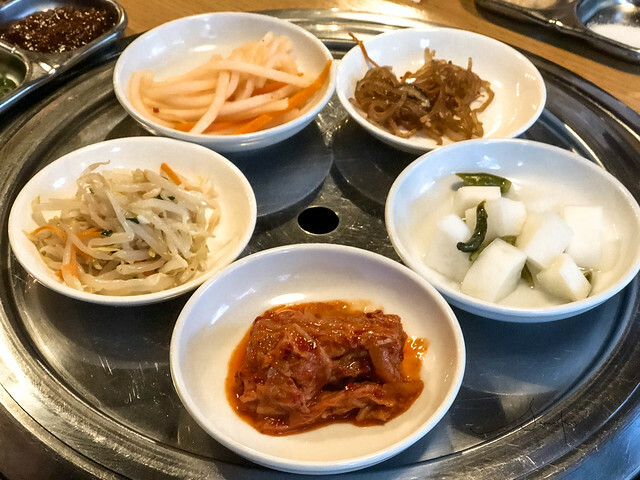 Together with this meat set : Butcher’s Sampler (RM 210) of four different meat cuts, is a complimentary soup of either kimchi jiggae, dwenjang jiggae, and hot pepper soup. 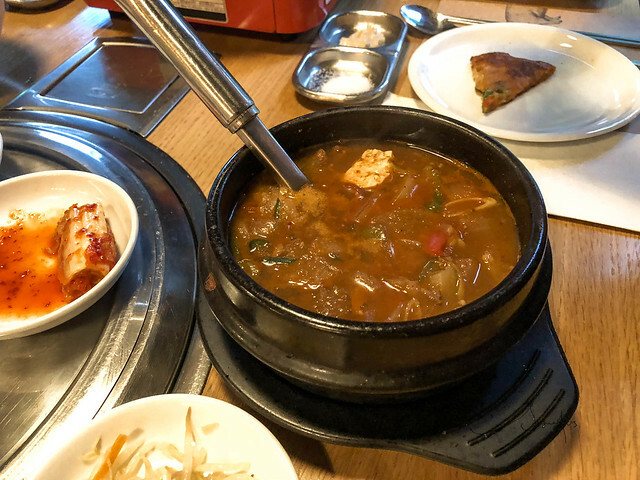 I sampled both kimchi jiggae and dwenjang jiggae and I’ll have to say that the first was satisfying, pleasingly spicy and sour from the well-aged cabbage it contained; and the second was comfortingly containing a generous quantity of deliciously tender shredded beef, the bowl of soup was rich and yummy. 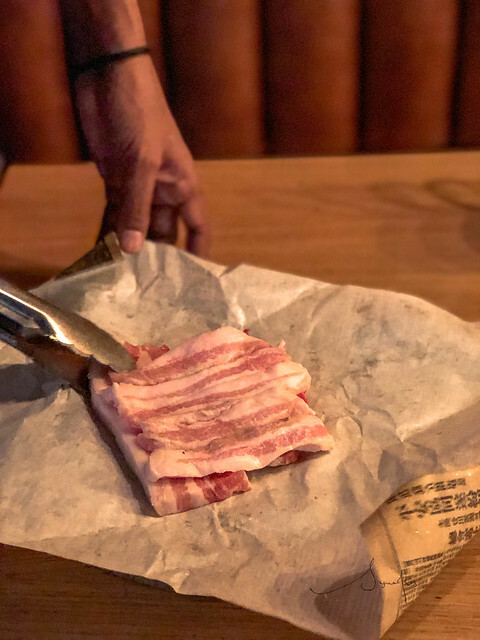 Don’t expect an entire table filled with pickled vegetables and kimchi because we are looking at aged meat cuts preparing to steal the limelight. 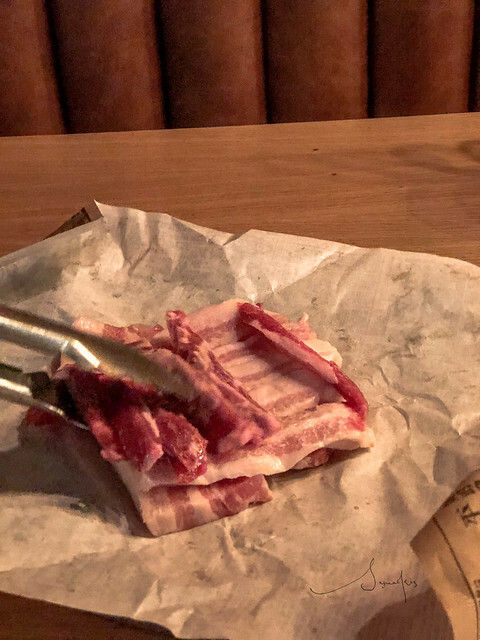 Iberico neck, belly, shoulder and abanico is a must for pork lover. 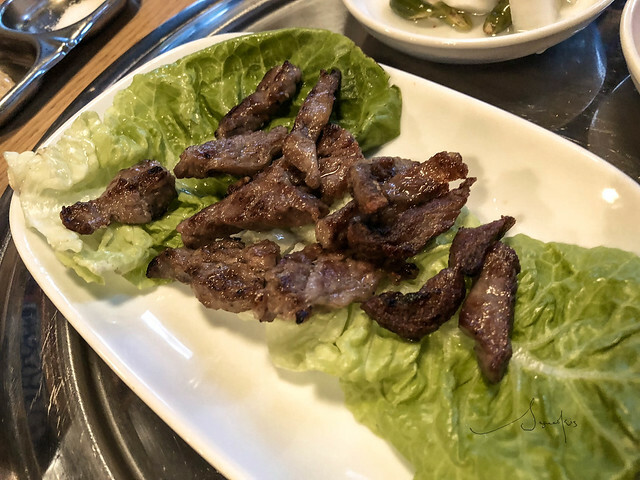 But Samgeori Butcher’s 삼거리 푸주간 serves not only premium pork & beef that is crazy delicious because there are other dishes thats really good. The Butchers Pork Fried Rice (RM 25) is lovely with meat and a bright sunny side up. 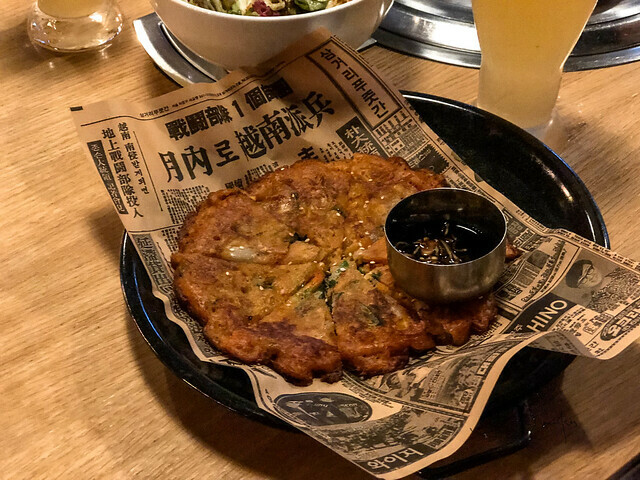 The plump grains were resonant with aged kimchi and sesame oil, I enjoyed it very much. 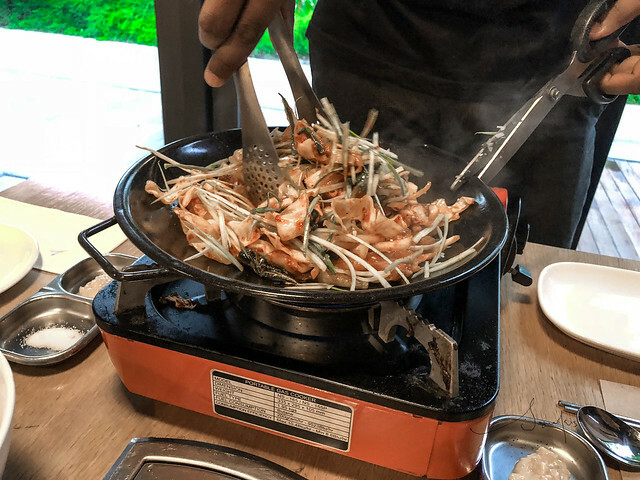 This entry was posted in Bandar Utama, Inside the malls and tagged Asian Food, Bar/Bistro and Restaurant/alcohol/cocktails, Korean Food, Non-halal Food on 2018/10/16 by sycookies.